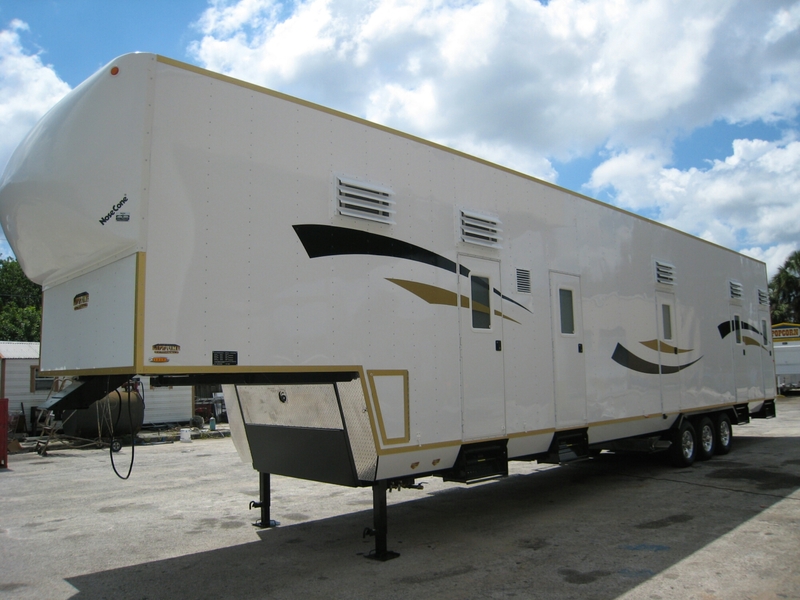 Thanks to Jake Inners of Majestic Midways for his purchase of this 45′ Multi bunkhouse! For over 100 years the Inners family has been committed to providing family-focused fun with great rides, games, and concessions. They put quality first with well-maintained rides, courteous and safety-oriented staff, and hands-on management. Majestic midways pleases crowds in Pennsylvania, New Jersey, Maryland, and Delaware. Lifetime is proud to be a part of their tradition of quality. The bunkhouse was showcased in our booth at the IISF trade show in Gibsonton and delivered February 8th. The unit sleeps 14. Multi bunkhouses include both single and double rooms with a customizable layout. To get ideas on layouts that suit your business check out the many drawings on our Floorplans page.